Embossed cover art of: “The Lights and Tides of the World” by by James F. Imray & W.H. Rosser. 2nd Edition 1869. 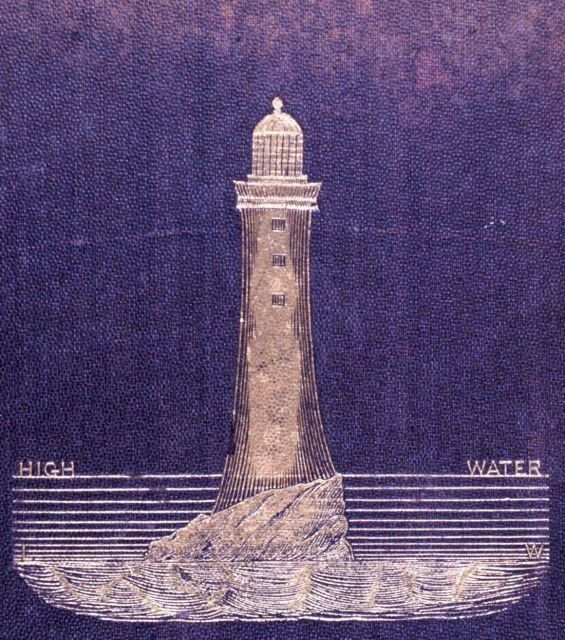 Detail of Lighthouse. Library Call Number VK1150 .I4 2nd ed. 1869.